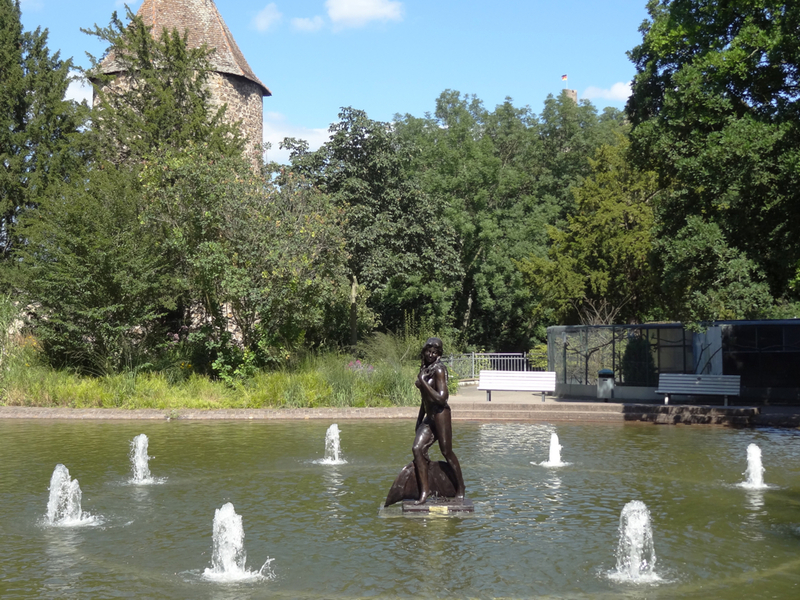 On the edge of the mountains in Schlosspark (Castle Park) in Weinheim, Germany, you will find one of the Ama mermaid statues by Amaryllis, placed here through the Amaryllis Art for Charity project. There are unique touches to each of the statues, such as the patina chosen, the inscription with the name and the coordinates, and the item at Ama’s feet. More photos and information are available on the Ama du Parc page.